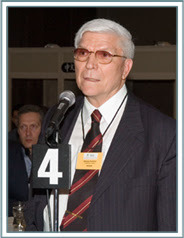 May 14, 2015: ToxicsWatch Alliance (TWA) appeals to the Prime Minister Narendra Modi to ensure that Indian government officials do not get subordinated by representatives of Asbestos Cement Product Manufacturers Association (ACPMA), a cartel of some 18 companies and its international allies for the fifth time at the Seventh Conference of UN’s Rotterdam Convention on the Prior Informed Consent Procedure for Certain Hazardous Chemicals and Pesticides in International Trade (CoP-7) in deciding to get white chrysotile asbestos listed under UN list of hazardous substances. Contrary to the misinformation campaign and propaganda war unleashed by asbestos producing countries like Russia and Kazakhstan, mere listing of white asbestos chrysotile does not constitute a trade ban. Indian delegation should be directed to act with the knowledge that listing it under the Convention does not constitute a trade ban on white chrysotile asbestos. Under the influence of white chrysotile asbestos producing countries like Russia, if India opposes listing of white chrysotile asbestos in UN list would be in blatant violation of its domestic laws and regulations like Factories Act, 1948. In short, if Government of India takes such position, it will be deemed untenable, unscientific, unsound, unsustainable, unacceptable and unpardonable for all times to come among the comity of nations and amidst own people. Indian delegation should pay heed to the resolutions and recommendations of World Health Organization (WHO) and the International Labour Organization (ILO) instead of allowing itself to be hijacked by accompanying members of ACPMA. It will be a shame if the Indian delegation betrays the cause of public health and national interest to safeguard the interest of the ACPMA. Indian delegation should re-adopt its 2011 position on white chrysotile asbestos when Mira Mehrshi led the Indian delegation and resisted the influence and presence of asbestos industry lobby amidst standing ovation. It is hoped that Shashi Shekhar, the head of Hazardous Substances Management Division, MoEF, Government of India will restore India's prestige by re-adopting a scientifically and legally defensible position. Shashi Shekhar who also heads the Central Pollution Control Board (CPCB)’s INVENTORY OF HAZARDOUS CHEMICALS IMPORT IN INDIA prepared by CPCB, under Union Ministry of Environment & Forests, Government of India that lists 'asbestos' at serial no. 26 as one of the 180 hazardous chemicals in international trade which is imported in India. Under Factories Act, 1948, the List of 29 industries involving hazardous processes is given under Section 2 (cb), Schedule First, asbestos is mentioned at serial no. 24. The Act defines "hazardous process" as "any process or activity in relation to an industry specified in the First Schedule where, unless special care is taken, raw materials used therein or the intermediate or finished products, bye-products, wastes or effluents thereof would--(i) cause material impairment to the health of the persons engaged in or connected therewith, or (ii) result in the pollution of the general environment". This leaves no doubt that asbestos is a hazardous substance. It must be recalled that on June 22, 2011 Indian delegation led by Ms. Mira Mehrishi, Additional Secretary, had supported the listing ofChrysotile asbestos as a hazardous chemical substance at the fifth conference on Rotterdam Convention (COP-5) amidst standing ovation. Not surprisingly, Mira Mehrishi’s reputation remains impeccable with unblemished track record. For a government which has adopted the slogan of “Make in India”, endorsement of asbestos like products would be a glaring taint because it ends up making India with the blood money of white chrysotile asbestos manufacturers. It will tarnish its image by end up making India rife with asbestos related diseases, a sad legacy for slogan Make in India. 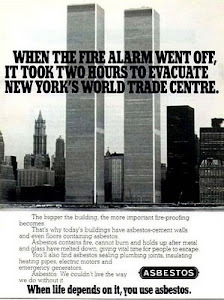 It tantamounts to sacrificing public health in order to support the ideology of naked lust for profit espoused by unscrupulous white chrysotile asbestos companies at any human cost. In effect, India would be seen taking an irrational position arguing that it does not wish to be informed about the hazardous nature of substances it imports and does not wish to inform about it to the countries which export asbestos based goods from India. This also means that India is becoming complicit in the violation of human rights by knowingly doing business in hazardous substances like white chrysotile asbestos as per its own law. 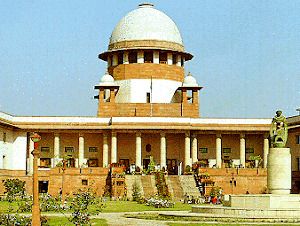 It is hoped even at this late stage that India will disassociate itself from the influence of white chrysotile asbestos producing companies and countries after examining the finding of the Contact Group set up by the President of the Conference of the Parties to achieve a consensus to list while chrysotile asbestos in the UN’s Prior Informed Consent (PIC) list-Annex III of the Rotterdam Convention. Chemical Review Committee (CRC) of the Convention has recommended its listing in view of compelling scientific and medical evidence. It is noteworthy that when the attached joint letter dated May 3, 2015 was sent to Prakash Javdekar, Union Minister of Environment, Forests & Climate Change and Ananth Kumar, Union Minister of Chemicals and Fertilizers, the former responded with alacrity and put his acknowledgement of reasons for disassociating with asbestos producing countries like Russia on record. The fact remains Union Minister of Chemicals and Fertilizers did not respond although Ministry of Chemicals and Fertilizers is the Focal Point for Rotterdam Convention. It is also a fact that Indian delegation was misled in 2013 by an irrelevant and conflict of interest ridden note of this very Ministry. Notably, Indian delegation was joined by supporters of asbestos industry in 2013. 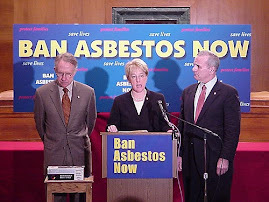 It is quite apparent that the industry representatives overwhelmed the government representatives who were made to take position against human health and the environment and to put profit of the asbestos industry before gnawing public health concerns. When ToxicsWatch Alliance (TWA) had confronted MoEF with domestic laws in 2013, the officials from MoEF expressed helplessness as they were bound by the attached note of the Ministry of Chemicals and Fertilizers. Hopefully, the structural compulsions of inter-ministerial coordination will be overcome this time to outwit the designs of ACPMA to subjugate the Indian delegation to its whims in fancies. Notably, India's National Human Rights Commission is deeply concerned about the issue and is seized with case dealing with deaths and diseases caused by exposure asbestos fibers. Indian history remembers such examples of notorious, timid, weak, pliable, gullible and docile individuals with unfailing memory. It’s a conflict between truth and profit. A poison is a poison. A hazardous substance will remain a hazardous substance irrespective the outcome of the UN meeting that concludes on May 15, 2015 but the Indian delegation will stand exposed for compromising India’s stature and its scientific reputation. White chrysotile asbestos is banned in over 50 countries because it’s safe and controlled use is impossible. In countries like India there is almost no health infrastructure to even diagnose the incurable diseases caused by exposure to its fibers. 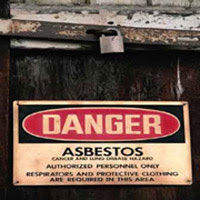 There is lack of lab facilities which can detect its presence in buildings and products in a situation where there is not a single building India which can claim to be asbestos free. It’s listing in the UN list merely a preliminary preventive step.